Lavender Garden is a unique range of fine mist sprays made completely naturally with the properties of natural crystals and essential oils. Each spray is handmade and carefully put together, making it unique to your condition or request. I was drawn to these products mainly because of the fact they are made with completely natural sources - no alcohol, additives or 'nasties' are involved. The sprays are 100% natural, made to spray onto bedding, comforters or into the room. 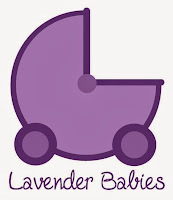 Lavender Babies are sprays specifically designed for newborn babies, children under the age of 10 and pregnant mums. Lavender Moon sprays are designed for adults and children over the age of 10. 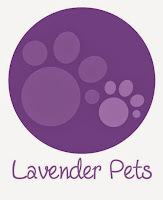 Lavender Pets sprays are brand new and suitable for calming stressed pets. I was lucky enough to try two sprays which fell under the Lavender Moon range, the first one being 'Chillax' and the second 'Lift Me Up'. The sprays both came in gorgeous little bottles which are perfect for popping into your handbag. I particularly love their size as they are perfect for travelling and having on-the-go, which many people may need if their spray is designed for a personal condition. The labels on the bottles are clear, informative and contain all the directions and information you need, which is extremely useful as I'm terrible for losing instruction sheets! The labels are also covered with a waterproof seal, meaning they are unaffected by spillages or rain. This is another small but great feature, as a drinks bottle actually leaked in my bag today, but the sprays were left unharmed and protected. Phew! Both sprays have a use-by date on the bottle which is a year from their creation. The first spray I tried was 'Chillax'. Calming, relaxing, balances mind & emotions. Also anti-depressant, uplifts and soothes. Age 12+. Bergamot, lavender, geranium, chamomile essential oils, amethyst, spring water, alcohol free apple vinegar preservative. Spray on bedding or in room. Shake well before each use. Clouding of the solution may occur naturally, this does not affect the properties of the spray. 100ml. The first thing I noted when trying this spray was that it smelt absolutely gorgeous. I could definitely smell lavender present in the smells, and the smell made me feel much calmer and soothed. I often use lavender to help me sleep at night, so I am used to the smell and its calming effects. For such a little bottle, the smell that comes out it strong and long-lasting. I found that the mist created from the spray clung to my clothes, smelling lovely and genuinely uplifting my mood. The only way I can describe this spray is 'relaxation in a bottle'. I love it! I do recommend taking the spray with you if you are going out and keep topping it up throughout the day to keep the smell for longer than two hours. Secondly I tried the lovely 'Lift Me Up'. To uplift, ease anxiety and boost confidence. Balances and calms mind & emotions. Bergamot, lemon & geranium essential oils, citrine, quartz, spring water, alcohol free apple vinegar preservative. Spray on bedding or in room. Shake well before each use. Clouding of the solution may occur naturally, this does not affect the properties of the spray. The very first thing I noticed with this spray was the difference in smell compared to 'Chillax'! Still a gorgeous smell, 'Lift Me Up' has a more awakening and lively scent. I could definitely smell the lemon and citrus in the spray, which is exceptionally refreshing. After just two sprays into the room, I felt like the smell alone woke me up and uplifted my mood! Once again the spray created a strong, long-lasting smell that clings to the air, making the whole room smell lovely and light. I really cannot choose my favourite out of 'Chillax' and 'Lift Me Up'! All sprays by Lavender Garden are just £4.99. I would definitely recommend these products to anyone. 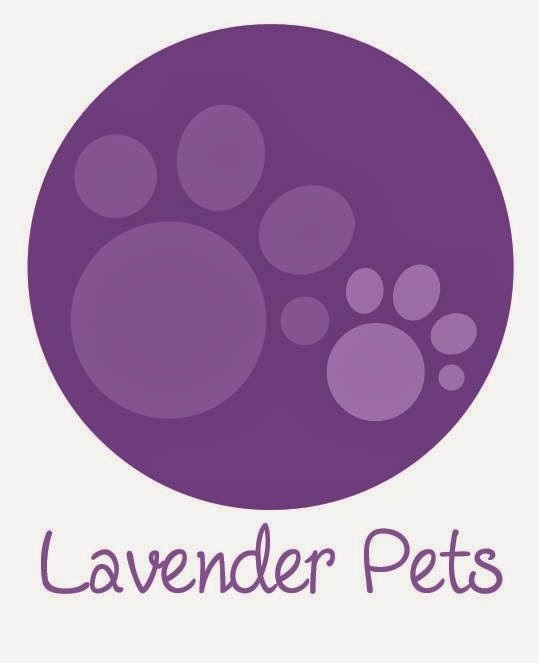 They are suitable for everyone - even newborns, with the 'Lavender Babies' range, and even pets with the 'Lavender Pets' range! The smells that are created are relaxing, completely natural and leave the room smelling gorgeous. If you suffer from a condition, you can make a request and a spray will be made suitable to treating/soothing that condition. How amazing! 'I'm Free' - helps ease depression, and addictive behaviour & addictions, particularly alcohol. 'Bless Me' - to ease hay fever symptoms. 'So To Sleep' - helps with insomnia, nightmares and aids restful sleep. 'Cleanse & Clear' - for clearing any negative or stagnant energy in the room. Great for therapists. 'Release Me' - eases anxiety, helps ease panic attacks and phobias. Lavender Garden is also available to follow on twitter: @Lavenderbabies. I am so happy with my sprays and will definitely be going back to buy more! Loved this review - i suffer a lot with anxiety and definitely need these products in my life. I <3 Lavender! 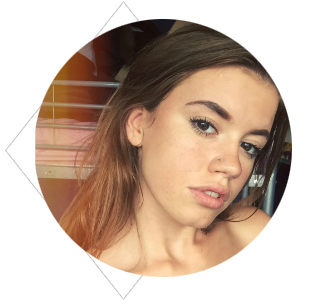 I absolutely adore your blog - FOLLOWED. Sounds amazing. I have a hard time sleeping at night and have tried lavender products before but never a spray like this. Thanks for the review! No problem - they're really good. I strongly recommend! It seems like a great product! Love your review! Thank you for stopping by! Pop over to the website, they're lovely!